In the following article, we’ll cover all the aspects of WordPress website building. But before we start, some questions should be answered. What do I Need to Create a WordPress Website? A domain name – a domain name is the name of your website. com is a domain. AwardSpace.com is also a domain. WordPress Hosting – Web Hosting is the service that you use to store your website files, and when someone wants to see your website, our servers are sending them the information needed. WordPress Hosting is a hosting service, specifically created to support WordPress websites better. That is why this type of hosting service is the most recommended for a WordPress website. Give or take, 40 minutes. The truth is every website has a different price. Equalizing the price to different websites is impossible. On the other hand, there are a few, more or less fixed, costs that you’ll have when creating a website. But as to create a website and to host it, has a different price, which depends on the scale of the website. If you decide to use our free web hosting service, you can, of course, create a WordPress website for free. Yet, we would highly encourage you to choose the WordPress Hosting Plan that is most appropriate for your project. Adding a domain name is also highly recommended. If you want to create your WordPress website alone, by following this tutorial, the costs will be less than $70. So, we can easily say that this tutorial is also a tutorial on how to create a website for less than $100. Is WordPress the Best Website Building Option? As you go through this tutorial, we hope you’ll find out why WordPress is the most used CMS in the entire world. Whether it is the best, you are the one to decide for yourself. For one thing, it is the most used. It is arguably the easiest one to use, as well. Although there are a vast number of known and unknown website builders, WordPress is surely the most versatile options. There are too many options, that are not presented to a website builder’s users. And on top of that, with a self-hosted WordPress website, you have the possibility to take your website files and go whenever you want. But a comparison between WordPress and a site builder you’ll find a little further in this material. In today’s economy, the chances are that, whatever your walk of life, you may find yourself in a situation where you need to create your own website. Whether it is a personal blog, a business website or to find out whether you are capable of achieving it, a project in school or for some other reason, to achieve that goal, you need to know how to create a website. And the truth is, it’s not that hard. It is getting easier and easier. The problem starts when you, as we all do, google “how to create a website” and find all those options. And with the wide range of methods and website building variation, you could easily find yourself confused, and discouraged. The more option we have, the more we, people, tend to get scared whether we’ll make the right decision. To create a WordPress website might not be for everybody. On the one hand, it is fairly easy to create a WordPress website, but on the other, if one has the time, and money to spend for an in-house web developer team, you probably will want to go with a custom solution. It is possible to create a website like Facebook (although not recommended) with WordPress, and a lot of large and famous companies, are putting their trust in WordPress. 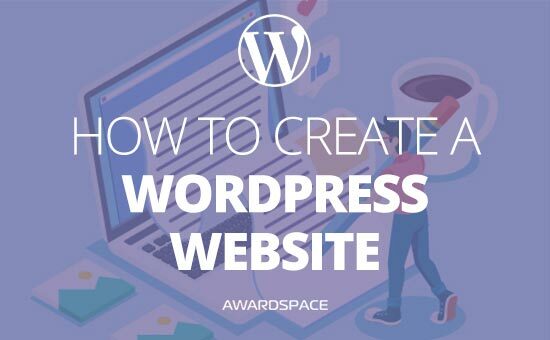 Although the process that we’ll go through is simple, it might take some time for you to create your own WordPress website fully. In this tutorial we’ll cover all the important factors that you need to consider while creating a website, so you won’t be surprised or disappointed in the near feature when your skills get better, and you discover that you’ve missed something, while you were making your first steps with WordPress. That is exactly why, we highly encourage you to go through every step of this tutorial, so you won’t find your site with, say, the wrong structure, or random permalinks. In a word, WordPress is an Open Source Content Management System or CMS. The technological industry in most, if not all, of its realms, is striving to make more and more of its products usable to everyday people. The greatest example of that, probably are personal computers. We all know that before the graphic interface, the only thing that people were seeing on their monitors, was code, code, and more code. And because coding was, and is not, the comfortest zone for most of us, the graphics interface was created, and along with it, the market for personal computers, and the rest is history. A similar shift happened in the web industry when the so-called Content Management Systems started to emerge. These Content Management Systems(CMS’s) are the graphics interface of web development. A simple, visual way to create, and manage web content. As visible from the plural in ‘Systems’, WordPress is not the only CMS. If you are considering to create your website and you want to create by yourself, WordPress is the way to go. Don’t take our word for it. As of today, WordPress is running roughly 32% of the Internet. That is a third of all the websites that you engage. A third of them are using WordPress. Content Management Systems are a lot. We have Joomla, Drupal, Magento, Grav, and much more others. In this, so-called ‘red sea’ with that number of competitors, WordPress has around 60% of the CMS market, which makes it the most popular Content Management System for the 7th year in a row. What is more, every day more than 500 new websites are created with WordPress. But why are all those brands putting their trust in WordPress? And why you should too? Well, for starters, as we mentioned, WordPress is an Open Source CMS. Which, in a word, means it is free. And with the vast number of free themes, plugins, and other add-ons, WordPress is becoming more and more a simple rational choice. On top of all that, WordPress is versatile, and you can create whatever website you want, as long as you have the skills and discipline needed. The best part of using this CMS, when you compare it to other options like the website builders is the fact that most website builders are property to a company. Meaning that if you’ve created a website by using a website builder, and suddenly you no longer want to use their services, you won’t be able to take the website you’ve created. You’ll probably be able to take the domain, but not the website, not the content, not the images. Once your account is disabled, all this hard work will be gone. Forever. On the other hand, you can use WordPress with one hosting provider, and once you want to move, you can migrate your WordPress website. WordPress is so famous, because it is free, and is not making you stay in a place you don’t want to be. It is just the perfect solution for everyone that wants to create their own website. Although a lot of services are created on the core of this CMS, WordPress has two main denominations. WordPress.org is the WordPress. This is the main site of the organization, and here you can download the latest version of the software for free. Most plugins and themes are created for this version of WordPress. WordPress.com, on the other hand, is some the full package. There you can get a domain, and hosting, and run your website. But WordPress.com has a policy where, if you are not paying for hosting, even if you are paying for the domain, they’ll run ads on your website. What is more, you won’t be able to get your website and go to another hosting, as their version of WordPress is different. That is not to say it is not possible at all, but it is harder than it should be. And that is done on purpose. They don’t want you to go. Whichever hosting provider you choose, we highly encourage you to go with the WordPress.org version. You will get the software for free, as well as all of its future updates. And what is more important, you will have the freedom to download your website and move. Site builders are great. They really are. They are making the building of your website as easy as possible. You can simply click on an element of your choosing and drag it to the location that you want it to be located. Once there, you simply drop it and customize it. And you are ready to go to the next one. Then why so many people are choosing WordPress to create their websites instead of website builders? For one thing, WordPress also has website builders. Yes, most of them are paid, but it is a one-time investment that will surely pay you off over time. Also, with the latest big upgrade of WordPress – 5.0 “Bebo” – the Gutenberg editor was presented to all WordPress users for free. And Gutenberg is extremely close to a website builder. The chances are, one day Gutenberg will be the same as the site builders, if not better. WordPress is also more versatile. With the plugins and themes, and website builders, WordPress has a ton of options, that are not available with a website builder. A self-hosted WordPress website, that is, a WordPress website, located on a WordPress Hosting server of your choosing, gives you the opportunity to get your website files and move to another hosting company or even to host it on your own computer. On top of that, if a company that offers only a website builder as a service, could close doors at one point of time or another. If that happens, your website will be no longer available. At all. You won’t be able to just go to another company, upload your files, and call it a day. The process of website creation will have to start all over again. From scratch. WordPress is not only a better option compared to all the other CMS’s and the website builders. WordPress is probably the best website creation platform that exists. With the rise of the CMS, and the demand for a reliable hosting service to run your WordPress website, the natural need for a cheap WordPress Hosting Service emerged. Like every other site, your to-be-created WordPress website needs hosting. And even though, you can run it even on a free hosting service, getting a WordPress optimized solution is probably the best option available. Well, the WordPress hosting services are, of course, capable of running other websites, and other CMS’s, as well. But what is more important is the fact, that they are created with the purpose of running WordPress. This hosting plan is optimized for this CMS. To get yourself a hosting plan for the website that you want to create, you need to choose a WordPress Hosting Plan. Go through the three steps of our signup. Once the process is completed, if you are not automatically redirected to your Hosting Control Panel, use the AwardSpace Login Page, where you need to enter your Username and Password. You’ll be redirected to your hosting control panel, and the next step is to install WordPress. As we’ve already covered how to install WordPress, in this part of the article we’ll just rediscover what we already know. Choose WordPress as the CMS you want to install. Pick any themes and plugins that you want to install with the CMS. When you enter the hosting control panel, you’ll be presented with various options to tweak your account. But to install WordPress, you need to start the Zacky Installer. The Zacky Installer will present you with the opportunity to choose between different CMS’s, not only WordPress. But as this is a tutorial on how to create a website with WordPress, we’ll choose the WordPress Image, to start the installation process. In our installer, we’ve made an effort to integrate some themes and plugins, which you could install simultaneously with WordPress. Of course, you could skip that part by clicking Next. If you want to install a theme – click on the one that you prefer. And click Next afterward. Next, there are plugins. You can follow the instructions above. If you like some of them mark them and they’ll be installed automatically. Afterward, click Next. 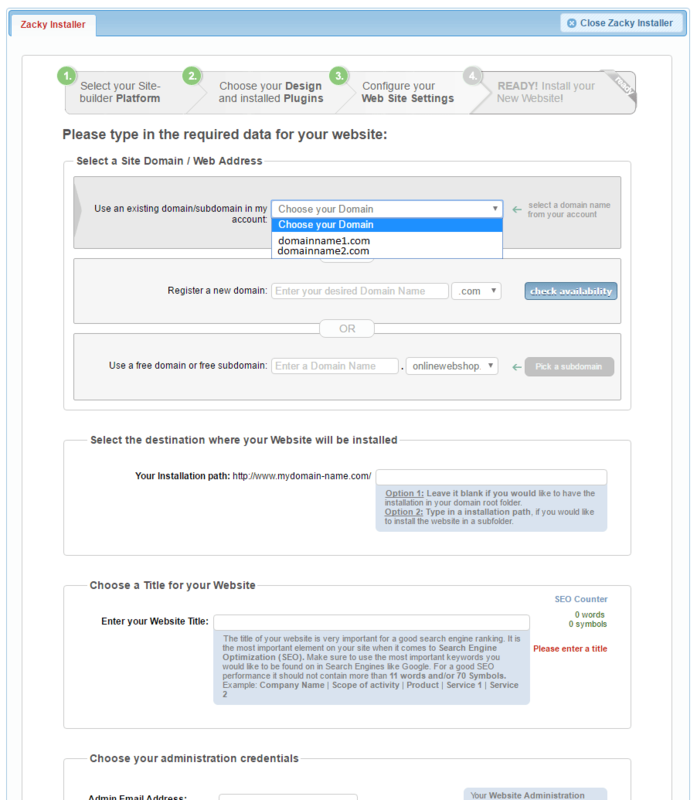 Here you’ll be able to choose your domain, register a new one, or pick a free subdomain. If you already have a domain, you can use the falling menu to choose it, as shown in the picture. Choose your Site name, fill the Admin profile details and click Next. Check and double-check the information you’ve entered, so you won’t have to re-install the CMS. After you are sure, everything is as it should be, click the Install Now! button. Bear in mind that once you’ve installed WordPress, you’ll need to keep the CMS’s updated. 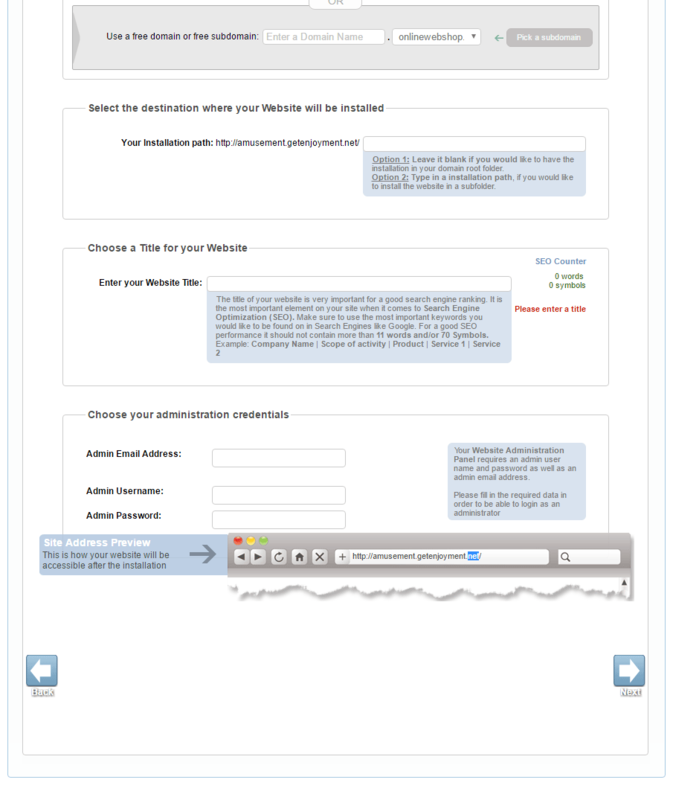 The WordPress Admin Panel (a.k.a. Dashboard) is where you’ll make all the magic. Here, not only you’ll tweak the design of your website, but will create your posts, pages, menus, and so much more. The admin panel is, essentially, where you’ll create everything that users will see and interact with. 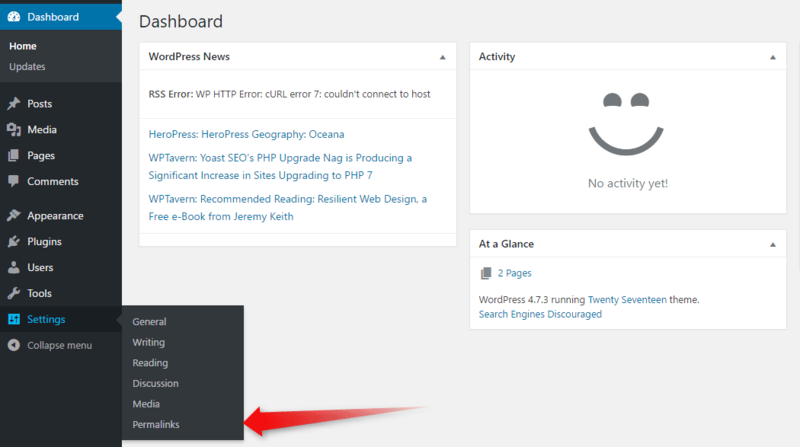 Thus, it is essential to know how to enter the WordPress Dashboard. Step 1: Enter your domain name and add the /wp-admin at the end. NB! If you installed WordPress in different than the root directory, you’ll have to insert it between the domain name and /wp-admin. Step 2: To access your WordPress admin panel, type in the username and the password that you’ve chosen in the WordPress installation process. Now that you’ve entered your WordPress Dashboard, you’ll probably want to limit the access of other people to your WordPress website. As you probably already know or found out through the installation process, WordPress, as most if not all CMS’s is working on the basis of themes. That is, WordPress itself does not have any layout or look. It all depends on what theme you decide to use. The latter is not to say that WordPress does not have any tale tell signs for one to understand whether a website is created with the CMS. It only means that there is no default look of WordPress. Still, WordPress has a default theme. As of today, it is the Twenty Nineteen. Although it is beautiful, you’ll probably want to install another WordPress theme, and thus, create a specific feeling to your website. In the AwardSpace’s WordPress Tutorials, we’ve already covered the WP installation process. And you can either go to the already published tutorial or follow the present one, where we’ll go through the process once again. To do so, you can either hover the mouse pointer over the Appearance button, then choose Themes, or just click on Appearance. Here, you should see two or three already installed WordPress themes. The CMS installs them automatically. You can either delete the unnecessary WordPress themes or just go for the installation of the one that you want to use. Click on the Add New button above the other themes. Or, of course, you can click on the huge Add New Theme button. You can use the search field and type the name or the purpose you want the theme to have. Also, you can find a theme by using the Featured, Popular, Latest, Favorites or the Feature Filter sections. In the filter results, you will see all the themes from the WordPress.org theme directory that meet your criteria. As we already covered – Find what you like -> Hover over it -> Click Install -> Click Activate. Let’s say you’ve bought a theme, or downloaded one from a third party theme provider. To upload it to your site, you have to go to Themes. Then click Add New. This is the same as the first step from the previous method.Even without moving the mouse you can click on Upload Theme. A menu will show. Click the Choose File button, select the archive of your theme from your computer and press the Install Now button. WordPress will finish the operation automatically for you. Just click Activate afterward. When you are creating a website with WordPress, and you’ve installed the desired theme, you might also want to create a child theme. Doing so will prevent you from losing any changes that you make when the theme is updated. Plugins are what makes WordPress so versatile. By using these small, and often simple add-ons, you can make a really functional website, without knowing how to code. And even if you don’t understand how the machine works, you’ll be able to use it. The installation of plugins facilitates simple tasks as adding Google Analytics, Facebook Pixel, or Google Adsense codes to your website. But what is more, is that the plugins are so many that there is a phrase “there is a plugin for that”. Meaning, (almost) any functionality you might need for your website, someone has already created a plugin for it. What is left for you is to just install and use it. We’ve already covered how to install a WordPress plugin. And you can read that tutorial, or just continue reading the present one. Once you like a plugin all you need to do is to click the Install Now button. Once the plugin is installed, you’ll have two options. Either you can click Activate, which will redirect you to the plugin activation page, or you can keep searching for other plugins. As you can imagine, this step is the same as the first step from the previous method. After you’ve entered the Add new page, at the top left corner, you’ll see an Upload Plugin button. Click it. A menu will show up. Click the Choose file button and locate the plugin on your computer. Upload it. Once installed, a new page will show up. You can either Activate the plugin or get back to the Plugin Installer. Here is how to actually add a contact form to WordPress. Adding a page to WordPress takes the same amount of effort and almost the same steps, which we’ll cover soon. But before you start creating posts and pages, you need to take care of something known as permalinks, and slugs. They are extremely important for the SEO of your WordPress website. Permalink is an URL, leading to a given post or page on your website. The purpose of the permalink, as its name suggests, is for it to be permanent. So, after you’ve decided what type of permalink (URL) structure you want for your website, bear in mind you’ll be better if you continue with it, no matter what. In our tutorials, you can find out more about Permalinks in WordPress. Every permalink could have two or more building blocks(parts). In WordPress, they could be as follows – domain URL-> category slug->post slug. Of course, pages, tags, or any other entity on your website has its slug. The idea behind the custom post, category or page slug is for it to be user-friendlier. What does it mean for the permalink to be user-friendly, you may ask. Say, one is searching in any Search Engine “what is a permalink”. As you can imagine, a WordPress post slug (and thus permalink) /whats-a-permalink/ is far more felicitous than the default “?p=123” one. 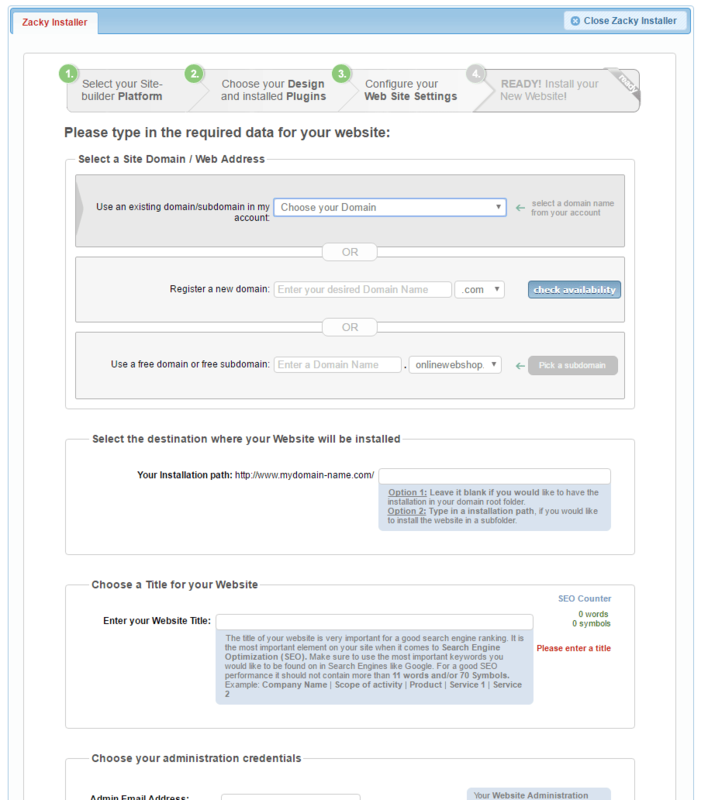 To change the permalink structure, and the slugs of your website, go to the Dashboard and then Settings->Permalinks. There you’ll find all the types of permalinks you can use. In order to be able to have a user-friendly post, the best option you could choose is the Post name one. After that, while creating a post, you can change the post slug with something that you find the most relevant to the content. We’ve already created an exhaustive article on how to post on WordPress, and you can see it here. Also, if you are curious, you can find out how to schedule a post in WordPress and more about the WordPress post types. Speaking of building a WordPress based site, Posts are the main ingredient. To start posting on WordPress, go to your Dashboard, hover the mouse pointer over Posts. Than click Add New. – Text (use the Text editor to format your post, by adding, or changing the code). When you are ready with the content of the Post, you can either Save it as a Draft, Preview how it would look on the site, or just Publish it. In this same menu, you’ll also be able to delete the post by clicking Move to Trash. After you are ready with the Post Title, and the Post itself click on Publish. Now you can go to the frontend of the site to see your first post. Interested in adding images to a post? By giving a different role to users, you also give them different capabilities. AwardSpace has an in-depth tutorial on WordPress User Roles, that you might want to take a look at if you are interested to find out more about user roles in the CMS. The role of a user in WordPress is representing the user’s hierarchy level. By default, a user could be Subscriber, Contributor, Author, Editor and, of course, Administrator. Every one of the roles has it’s predefined capabilities. The subscriber is the lowest level of the user role hierarchy. By default, the subscriber will be able to only change their profile’s information. This is the only right that they have regarding the backend of the website. On the front end, they’ll be able to comment on your content. Having contributors is a great choice if your site is new, but there are people that are eager to help. Contributors are almost as limited as the Subscribers. But they can create posts. They could only create, edit and delete their own content. Author role is for those users that will write, edit, publish and delete their own content. Also, they’ll be able to upload files. Authors also have the right to edit their profile and change their password. Excluding the Administrator, the Editor is the one with the most rights. Editors are capable of writing, editing, publishing and deleting posts. The Editor is able to do all of this to any post on the site. It doesn’t matter if he is the one that created the content in the first place. You may or may not need an Editor. The administrator is usually just one. This user is automatically created in the WordPress installation process. Of course, you can give someone else the same rights, by creating another Administrator profile. But that will allow them to have full access to everything on your website. The users that are assigned the role of Administrator are able to install, delete and edit themes and plugins. The same goes for posts, pages, categories, tags, even other users. WordPress comes with a well-structured and efficient menu building system. By using it, you can create not only navigation menu (the one on the top of the page), but also sidebar menus, and footer menus. There are WordPress themes that will provide you with more than one menu type. And some even do have in-theme menu building logic. 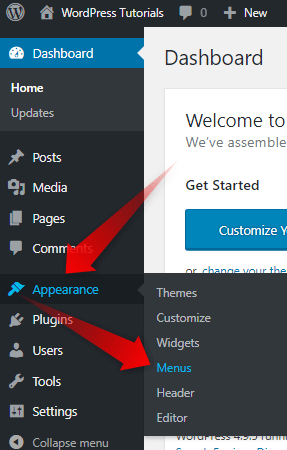 But for most of the themes out there, the default WordPress menu building page will be more than enough. Here is a truly in-depth tutorial on WordPress Menus if you need it. If you don’t need an in-depth tutorial but just want to know how the WordPress menu works, we’ll cover that in this full guide on how to create a WordPress website. Enter your WordPress Admin Panel. You need to look for the Appearance option in the sidebar menu. And then go for the Menus option. As you can see, you are not presented with many options. To change this, you need to create a menu. Add a name of the menu you are about to create, and just click one of the Create Menu buttons, located in the right part of the page. Now that you’ve created your first menu, you need to choose the pages that you want to be presented in it. To add pages, posts, or categories to the menu, they should be published. And what you are adding in the menu from top to bottom will be presented from left to right on the front end. To add elements to the menu you need to first choose them, by clicking on the empty squares on the left of the elements. Mark the elements you want to add in this menu and click the Add to Menu button. And while you can be cautious of the sequence in which you are adding the units to the menu, there is an easy way to rearrange them, once they are added. You can just click on the element and move it around. Changing its position in the menu, or making it a part of a drop-down menu. To create a sub-menu, that will emerge when a user hovers a specific element of your menu, drag and drop the elements you want in the sub-menu just a bit on the right. Once you’ve arranged the elements of your menu, don’t forget to click the blue Save Menu button, which you’ll find above and below the menu on the right part of the Menu Structure window. There is a set of WordPress questions that are often asked, and way too often left unanswered. Here are the questions and their answers. Yet, we believe that WordPress is the best and the easiest way to create a website. After you’ve created a website with WordPress, you might ask yourself whether you can make any money with it. Of course, in the cases where you’ve created a website to sell products, that question, or a business card website, this question won’t appear. For all the other types of websites – blogs, social media, forums, news media, etc., etc., you can use your website’s estate, to sell ad space. You can start referring to a product, which would be affiliate marketing. You can also, create a shop to sell your own merchandise. WordPress is easily transformed from a blog to an eCommerce Shop. Check out our step-by-step guide on how to Create an eCommerce Website with WordPress. Do I have to know how to code to create and customize my website? To create and customize your website with WordPress it won’t be necessary to know any programming language. Yet, the truth is, it will help you a lot to know at least a basic level of HTML and CSS. Yes, AwardSpace is offering a free domain (TLD) with a number of our hosting plans. Here you can check out how you can get a free .com domain.